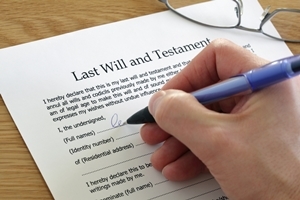 Formally called a “Last Will and Testament,” a will is the cornerstone of your estate plan. Your will is a specific plan for your surviving heirs, beneficiaries, or successors to follow when you’re gone. In your will, you specify details about how you would like your assets to be distributed, what happens to your personal property, and how those who survive you will be taken care of. You may also use your will to appoint a personal representative, who is someone that will be responsible for carrying out your last wishes. The appointment of a personal representative. Also called an executor, a personal representative is someone you trust to manage your estate when you’re gone. He will be responsible for carrying out the instructions in the will. If you do not name a representative, your heirs or beneficiaries may mutually agree on who will assume the duty. Otherwise, the probate court will assign someone. The assignment of assets and property. In your will, you’ll name your beneficiaries and assign assets to them. The assigning of assets is called a “bequest.” You may make bequests by naming specific dollar amounts to a person, but it’s typically easier to break things down by percentages. You may also assign tangible property to beneficiaries—physical objects such as cars and jewelry. Optionally, you can create a separate document that details who you want to receive this tangible property, so you don’t have to update your entire will every time you buy or sell possessions. If you choose this approach, be sure to mention the extra document specifically in the body of your will. The appointment of a legal guardian for your children. If you should die before your minor children are legal adults, assigning a legal guardian will ensure they will be taken care of by someone you know and trust. Otherwise, it’s possible that they could become wards of the state, if no available family member is willing or able to claim guardianship. The appointment of a trustee. You may arrange a trust in your will, in which some or all of your assets will be held until your minor children are adults. A trust must have an appointed trustee. This is a trusted person or professional who will manage your assets and make any distributions to beneficiaries according to the time schedule you’ve arranged. The will must be written. It may be handwritten, typed, or printed, but it generally must be recorded on paper. A verbal will may only be valid under very specific circumstances or only cover extremely limited assets. You must be of sound mind with clear intent. You must be able to understand that you are creating a will and what it’s for. You also must not be coerced into making the will or forced to sign it against your wishes. Your assets must be appropriately disposed of. Your will needs to account for all of your assets and make specific mention of how to distribute them. The will must be witnessed, signed, and dated. You must sign and date your will, and two other people (who should not be beneficiaries or have any interest in the contents) must witness your signature and sign and date the document themselves. Having your will notarized is not legally necessary, but it can make probate go much faster. An experienced estate planning attorney can help ensure that your will is legally valid and contains the necessary information. If you’d like help with your will or have any questions about your estate plan, the attorneys at the Law Offices of Molly B. Kenny have over 24 years of experience helping people secure the future for their families. Call us today at 425-460-0550 to arrange a private consultation at our Bellevue office.